The roadway up to Plaka gets closed every evening and everyone is directed towards the parking lot at the foot of the hill. As soon as you start the ascend through the paved alleys of Plaka, you're immediately welcomed by the aura this place emanates. A beautiful courtyard set right in front of the Archaeological museum of Milos that gets filled with all sorts of travelers and locals that want a piece of some this good ol' traditional kafeneio setting. A couple of locals are already on their musical instruments when we take our seats, the service quite friendly albeit a bit frantic and we're about to begin our journey. The menu is quite extensive but we immediately go for what our waiter recommends: pork stew in lemon sauce with thin-sliced fried potatoes, barbecue chicken tenders and some saganaki cheese. 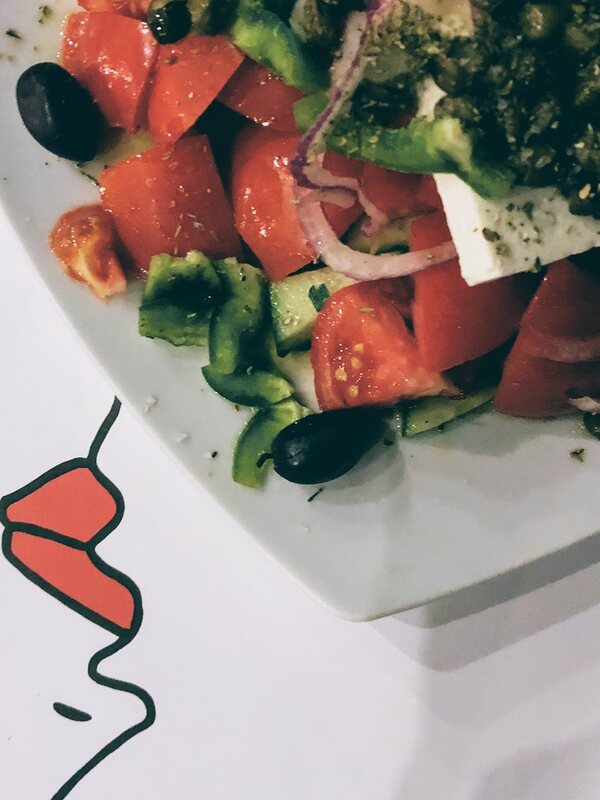 We obviously complement our meal with the classic Greek salad and a couple of beers to wash everything down. It's still early enough in the night so there's still plenty of time to enjoy this pacing ourselves, listening to the live music and the light breeze. Perfect!